The Trump administration’s investigation into uranium imports are propelling U.S.-based uranium mining stocks, but analysts are not so sure if it will ultimately help the sector. 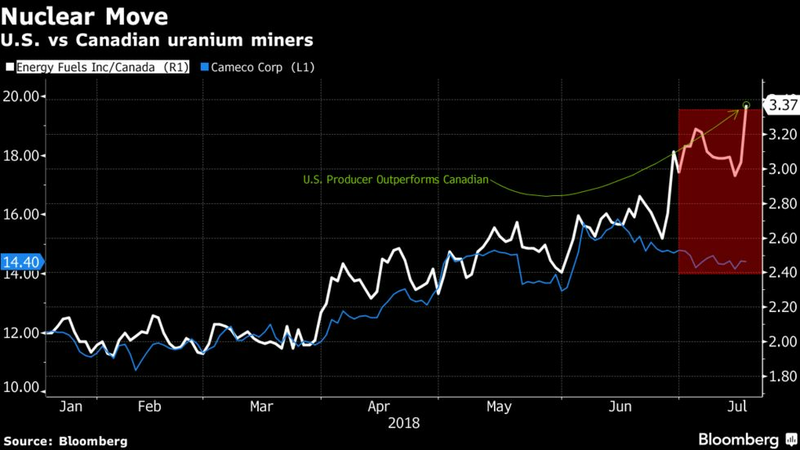 U.S. uranium producers gained on Wednesday, with Energy Fuels Inc. surging as much as 14 percent and Uranium Energy Corp. climbing 9.1 percent, while Canadian producer Cameco Corp. fell as much as 1.5 percent, showing the divergence of sentiment. Cameco is set to report its second-quarter earnings on July 26.